Some of the collateral damage in the wake of the No Child Left Behind law is the decrease in two areas of instruction, physical education and music. These two areas of study are not represented on nationally mandated exams, thus expending time and energy on them takes teaching time away from the subjects that children are tested on. New research has linked both physical education and music to improving brain functions that are essential to learning. In fact, studies have shown that continued physical exercise and learning to play a musical instrument are both linked to improved academic achievement. A study completed in 2014 comprised of 408 twelve-year-olds in Sweden by the University of Gothenburg found that just two hours of extra physical education each week doubled the chances that a child will achieve the national learning goals. In 2012, an article in the Journal of the American Medical Association found strong evidence of a significant positive relationship between physical activity and academic performance. They found that exercise may help cognition by increasing blood and oxygen to the brain, increasing levels of norepinephrine, and endorphins to decrease stress and improve mood, and increasing growth factors that help create new nerve cells and support synaptic plasticity. Finally, the Society for Research in Child Development published an article in 2014 discussing recent findings that physically active children tend to outperform their inactive peers in the classroom and on tests of achievement. The authors went on to explain that active children have increased attention and concentration. They also point out that recent research has indicated that increased physical activity may be an alternative to medication in the treatment of autism and ADHD. In 2012, a study by San Francisco State University found that teaching rhythm improved third graders ability to learn fractions. They also noted that children’s use of an academic music curriculum has dramatically improved math scores for the entire school, going from a 51% to a 75% rate of scoring at or above the national average. Over a decade of neuroscience has confirmed that both mental and physical activity produce new circuits in the brain. Different activities will affect different parts of the brain. Continuously engaging in a specific activity or set of activities increases the strength of these circuits. In the meantime, find after-school or community activities that your kids can join. For physical education, organized sports and recreational programs for kids through your city, county, community colleges, etc. are your best bet. You can also enroll them in private lessons. 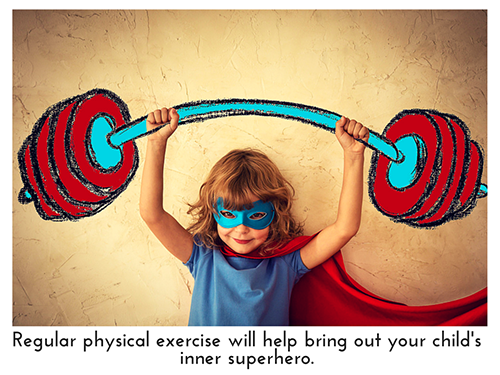 For more reading on this subject, I recommend The Busy Body Book: A Kid’s Guide to Fitness. For music education, look into after-school and community activities, as well as private music lessons. I highly suggest you visit the Yamaha Music Education website to see if they have a program near you. This is an amazing program for preschoolers through teens. At the preschool level, it’s a parent/child program where you work together in class and at home. My son and I took these lessons together and it awesome. For school aged children and teens, they provide group and individual lessons. I went to a concert where the teen orchestra performed works written by the teenagers in the group. You can also find great programs for use at home. Again, I encourage you and your child to work as a team. The eMedia My Piano Starter Pack for Kids includes a keyboard instrument, plus instructional CDs and DVDs and music books. It’s a great way to get your child interested in learning how to play! 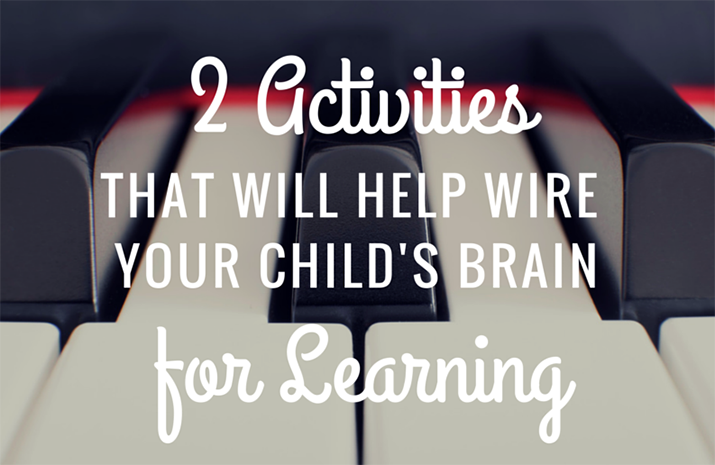 And interestingly enough, playing the keyboard by far promotes the most development of integration in the brain. My First Recorder: Learn to Play: Kids is a great way for your child to learn to play the recorder. This is usually the first instrument taught in music education programs for children. The Yamaha YRS24B Soprano Recorder is often used by school music programs. Finally, learning to master beats and musical rhythms is also excellent for brain integration as well as an introduction to basic music theory. 101 More Music Games for Children: New Fun and Learning with Rhythm and Song is a great way to introduce your kids to music during playtime. Even better, get a group of parents and children together and form your own group. This Amazon page provides tons of inexpensive suggestions for rhythm instruments for children. I hope you will be motivated to not only bring physical education and music to your own children at, but to become an advocate for your community as well. Early exposure to both physical activity and music leads to life long enjoyment as well as personal, mental, and educational development. While starting young is the best, it’s never too late to introduce and encourage your child to get started in each of these important pursuits.